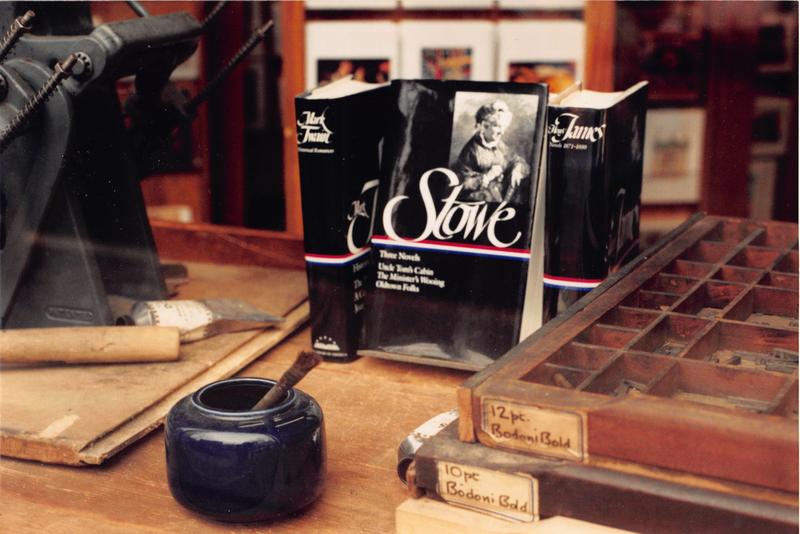 For nearly 30 years Avenue Victor Hugo Books was a fixture on Newbury Street in Boston, specializing in eclectic literature of all kinds, the worthy but lost and long out-of-print novels, unusual biographies, and forgotten histories, as well as old periodicals and printed ephemera. Unfortunately for us the street changed and we were unable to keep pace with the times (on our way, perhaps, to becoming another piece of the very past we loved). 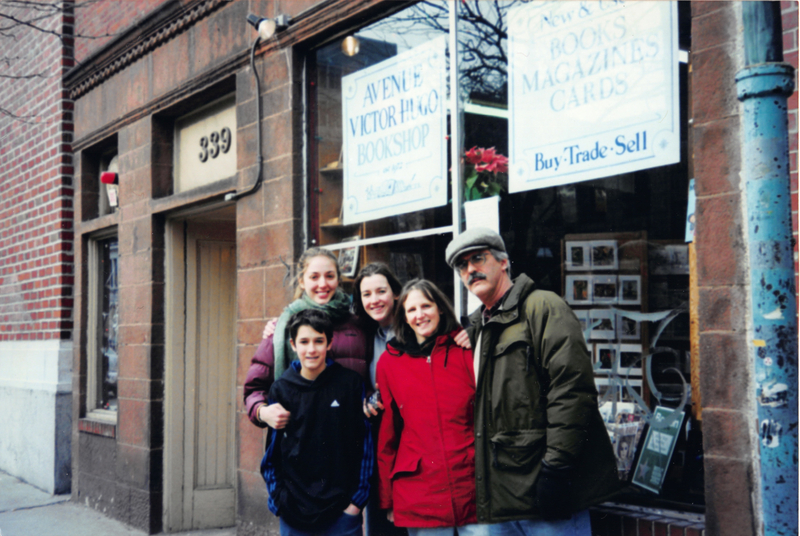 In 2004, we closed our brick and mortar bookshop, but continued to serve our customers online. Now, amazingly (to us at least) we have an open shop again. Our new location is in a post and beam barn in Lee, New Hampshire and only open to browsers on Saturdays, between 10 am and 6 pm, and it’s much smaller than the old shop, but it is a far better thing than the mere ethereal existence of the internet. You can actually get your shirt front dusty from browsing in here! Please check out our ‘News’ column for any other changes and developments, or check out the Avenue Victor Hugo Books page on Facebook. In addition, we have a brother site at VincentMcCaffrey.com for extra-curricular literary matters. 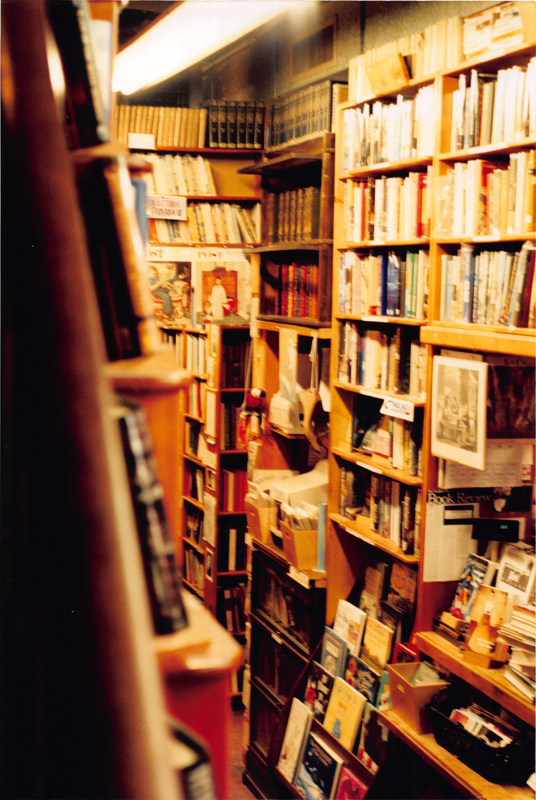 There, one of the proprietors, Vincent McCaffrey, posts portions of his novels, various short stories, unquiet essays, and anecdotes. You are always welcome to that ethereal world. Please take note that we are offering signed copies of Vince’s most recent novel, The Dark Heart of Night, published by Avenue Victor Hugo Books and also have signed copies still available of both Hound and Slepyng Hound to Wake, published by Small Beer Press. In addition, two new novels, The knight’s tale, a story of the future, and John Finn, a mystery, will soon be available as well. We look forward to seeing you at the shop if you can make it up this way, but don’t hesitate to check out our websites in the mean time..